WASHINGTON — CVS Health Corp.’s planned acquisition of Aetna Inc. is close to getting the go-ahead from federal regulators, The Wall Street Journal reported early this month. Antitrust regulators at the Department of Justice were also said to be close to signing off on another megadeal in the health care sector; insurer Cigna Corp.’s planned purchase of Express Scripts Holding Co., a provider of pharmacy benefit management services. 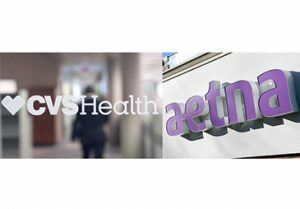 Regulators looking into the proposed CVS-Aetna tie-up are expected to require the divestiture of assets related to Medicare drug coverage as a way of addressing competitive issues, the Journal reported, citing sources familiar with the department’s evaluation process. CVS has the largest market share in the Medicare drug-plan business, with 6.1 million members, the newspaper reported, citing an analysis by Wells Fargo. Aetna is the fifth-biggest Part D seller, with 2.2 million members. To preserve competition where CVS and Aetna sell Part D plans head-to-head, the Justice Department will require the companies to sell off parts of their Part D business to one or more companies that would compete with the newly merged firm, people familiar with the matter told the Journal. The combined company, uniting one of the nation’s biggest pharmacies with one of its largest health insurers, could change how health care is administered in the United States, the companies said when announcing the deal in December. The merger would lower health care costs for their corporate customer’s employees as the new company negotiated lower drug prices and more effectively managed how those medicines are used, they said. Skeptics of the deal warned that a CVS-Aetna combination would accelerate the morphing of the nation’s health care system into a series of kingdoms, where consumers are locked into separate ecosystems of pharmacies, doctors and health care clinics depending on their insurance provider.